Newbridge is a small rural village located in the east of County Galway in Ireland with easy access to the surrounding counties and home to a pub and a small shop. A little down the road is Mountbellow with range of local shops pubs and restaurants, and has a golf course on offer too where you can work on your swing. Oil central heating with range and open fire. 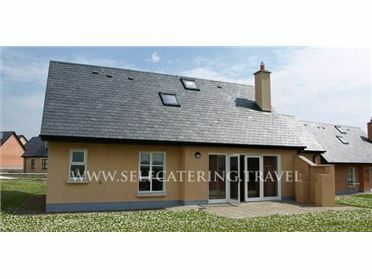 Electric oven and hob, fridge/freezer, washing machine, Microwave, TV with Saorview, WIFI, CD/radio. Fuel, power and starter pack for fire inc. in rent. Bed linen and towels inc. in rent. Cot and highchair on request. Roadside parking to front of cottage. Front gravelled garden with furniture. One well-behaved pet welcome. Sorry, no smoking. Shop and pub 1.5 miles..